Raine Inc. gets questions about holster fit for handguns. Raine offers several styles and some are designed to hold only one model while others will hold two or three similar styles. We also have holsters designed to hold most small, medium and large frame semi-auto pistols. The important questions are the ones we ask. 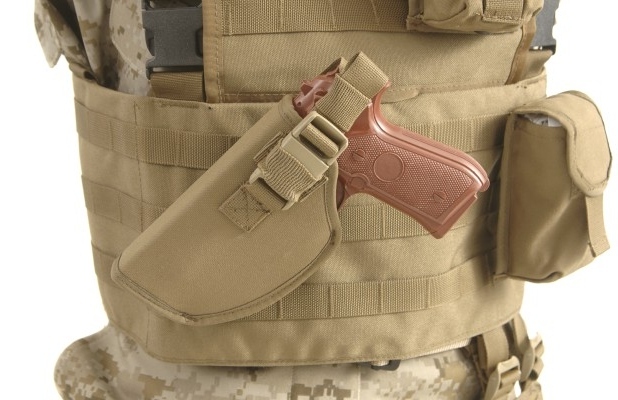 We need to know: 1) what the customer needs to carry in a holster or pouch and 2) how they want to wear or carry it. This info allows us to accurately fill their need and occasionally lets us direct them to other items that may be useful. This entry was posted in Frequently Asked Questions (FAQ), Raine Inc. Updates, Raine's Products and tagged military gear, military products, questions about holser fit by raineincblog. Bookmark the permalink.